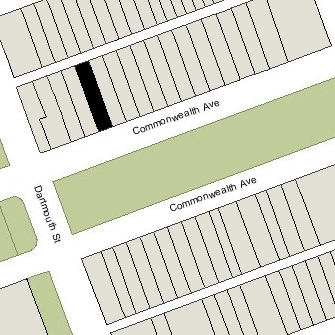 131 Commonwealth is located on the north side of Commonwealth, between Clarendon and Dartmouth, with 129 Commonwealth to the east and 133 Commonwealth to the west. 131 Commonwealth was designed by architect Carl Fehmer and built in 1880 by I. & H. M. Harmon, builders, as the home of insurance broker Gideon Scull and his wife, Anna Marie (Seiler) Scull. They previously had lived at 13 Mt. Vernon. Gideon Scull is shown as the owner of 131 Commonwealth on the original building permit application, dated January 16, 1880, and on the final building inspection report, dated December 30, 1880. Gideon Scull purchased the land for 131 Commonwealth on December 22, 1879, from Henry L. Jaques of New York City. It previously had been held by several owners, and originally had been purchased from the Commonwealth of Massachusetts on May 2, 1866, by Franklin Haven. He was one of the three Commissioners on Public Lands responsible for the sale of the Commonwealth’s lands in the Back Bay. Click here for an index to the deeds for 131 Commonwealth. 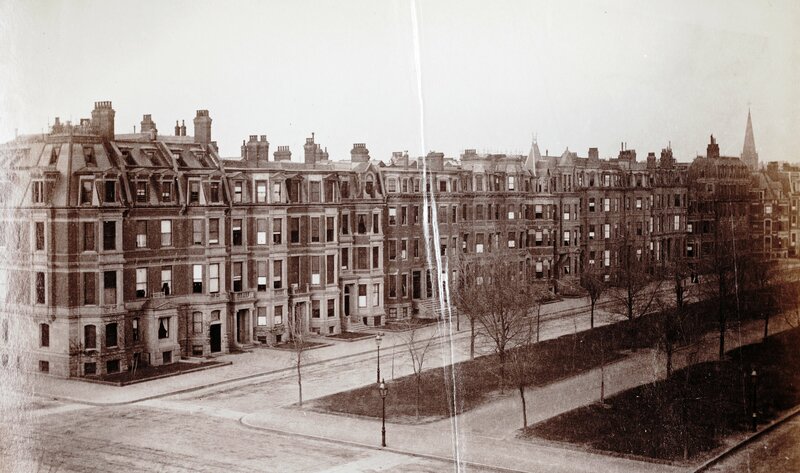 The Sculls’ four children — Maximilian (Max Leopold) Scull, Marjorie Scull, Guy Hamilton Scull, and Dorothy Scull – lived with them at 131 Commonwealth. Guy Scull graduated in 1898 and served as a member of Theodore Roosevelt’s “Rough Riders” during the Spanish American War. He then was a newspaper correspondent, covering the Boer War, the Russian-Japanese War, and other international conflicts. In 1908, he led in an ill-fated attempt to discover sunken Spanish gold (Scull’s boat, the former America’s Cup defender Mayflower, sank off of Cuba in a hurricane), hunted big game in Africa, served briefly as Chief of Police in Nicaragua, and served as Deputy Police Commissioner of New York City. He died in October of 1920; his widow, Nancy (Whitman) Scull, married again in July of 1922 to his Harvard classmate and friend, Eliot Wadsworth, Assistant Secretary of the US Treasury, After their marriage, the Wadsworths lived in Washington until the mid-1920s, when they returned to Boston and lived at 180 Marlborough. Gideon Scull died in June of 1899. 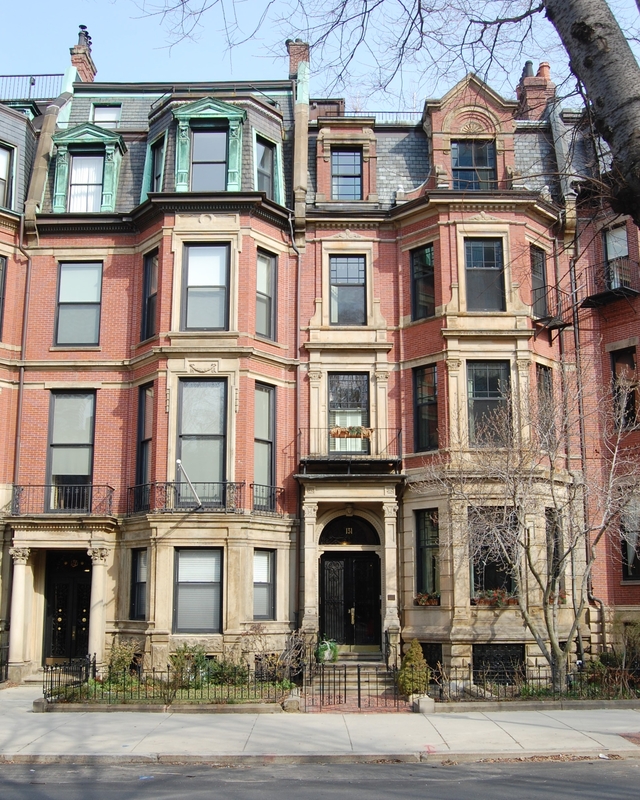 Anna Scull continued to live at 131 Commonwealth with their two daughters, Marjorie and Dorothy. They also maintained a home in Northeast Harbor, Maine. Marjorie Scull married in October of 1903 to Bartlett Harding Hayes, a stockbroker and Harvard classmate of her brother, Guy, and they moved to Andover. Dorothy Scull died in April of 1904. Anna Scull died in January of 1923. The house was not listed in the 1924 Blue Book. In July of 1924, 131 Commonwealth was acquired from the Scull family by Wellesley College and became the Wellesley College Club of Boston. In 1925, Mrs. George P. Furber was the director and lived on the premises. The Club remained there until about 1934. On August 20, 1935, 131 Commonwealth was acquired from Wellesley College by 131 Commonwealth Ave., Inc., and on September 10, 1935, it was acquired from them by the Trustees of Boston University. 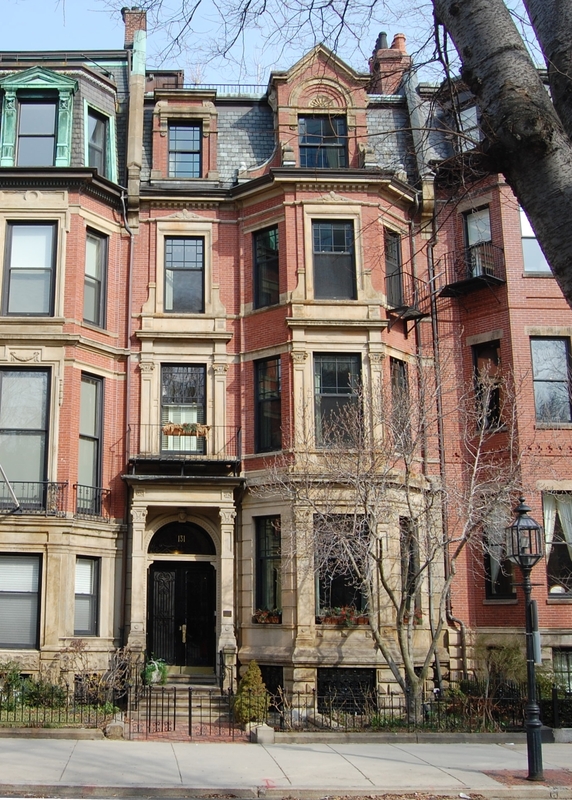 The sale was subject to the restriction that the property was to be used only to house students of Boston University who were active members of chapters of Greek Letter sororities affiliated with the National Pan Hellenic Congress. 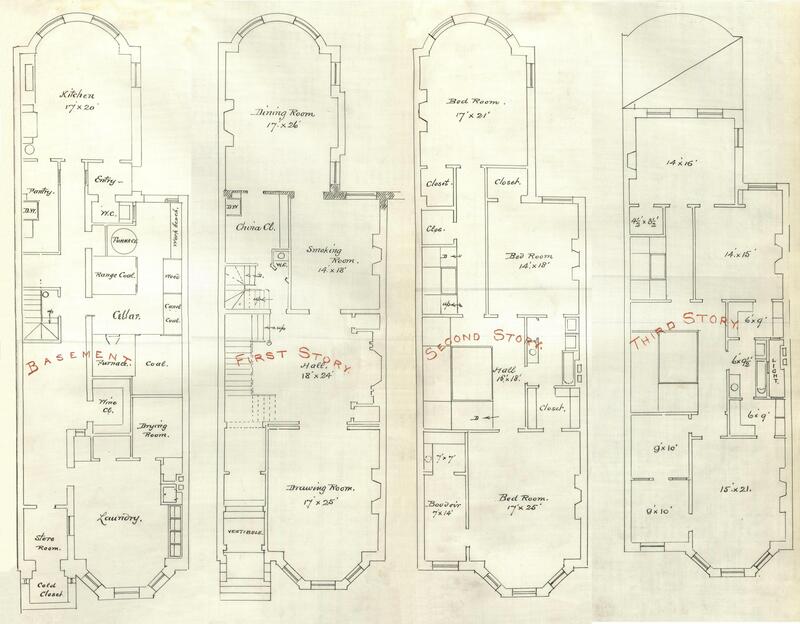 The property subsequently was operated as the Pan-Hellenic House. 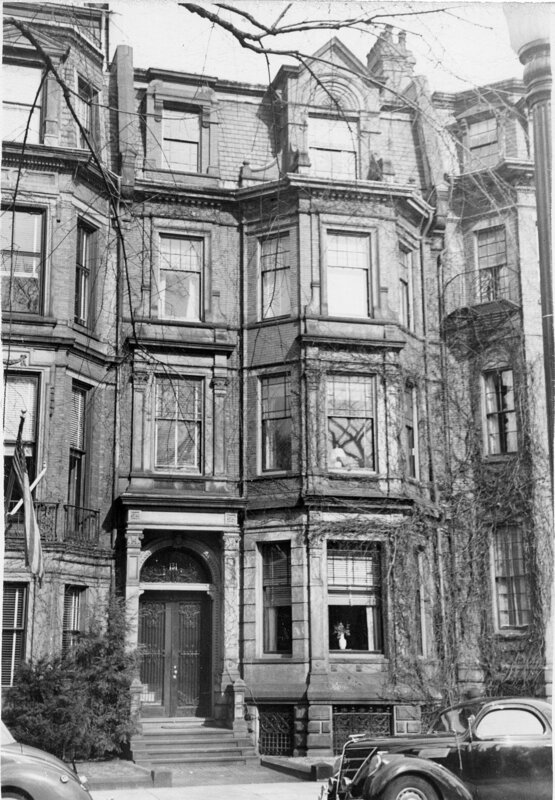 In September of 1972, attorney Frank S. Ganak and his wife, Yola Nina (DiCecca) Ganak, purchased 131 Commonwealth, converting it into ten apartments. They lived at 115 Commonwealth, which they had purchased at about the same time. In 1972, 131 Commonwealth suffered a fire that damaged the central area of the first and second floors. It suffered a second fire in early 1980, causing damage to the center portion of the top floor and the roof. On January 29, 1981, the Ganaks transferred the property into his name. On February 26, 1981, 131 Commonwealth was purchased from Frank Ganak by John Humphrey and his wife, Pamela (Petri) Humphrey. They repaired the fire damage and converted the house from ten apartments into seven apartments. In August of 2002, they applied for (and subsequently received) permission to convert the property back into a single-family dwelling, adding a roof deck and rear deck on the third floor. 131 Commonwealth remained a single-family dwelling in 2016.